News from the Sector is a monthly blog series featuring the latest geological and palaeontological news, jobs, exhibitions, and conferences. If you or your institution has anything they would like to add, or advertise on GCG’s News from the Sector, please get in touch at blog@geocurator.org. There are still places available at The Royal Society’s two day discussion meeting called The past is a foreign country: how much can the fossil record actually inform conservation? on the 28th and 29th January, in London. In the evening of the first day is a Poster Session and Drinks Reception. The evening reception is £10, but the rest of the two day event is free to register and attend. You could even come and see my poster on how fossil sharks can save the world if you’re around in the evening! After the Royal Society event, you should have just enough time to zoom up to Liverpool for NatSCA’s one day conference on acquiring funding, called Finding Funds for Fossils, Ferns and Flamingos: How to secure money for museum collections. It will take place at the World Museum in Liverpool on 30th January, tickets are available on Eventbrite. It’s then back down to London on the 1st February, for the Linnean Society Student Conference 2019. With ample talks from the ‘next generation of natural historians’ and a guest lecture from palaeo-legend Michael Benton titled The Origin of Feathers, it should be a fantastic event. Plus, tickets are free. As far as I know, you can now have a bit of a rest until May. But do get in touch if you know of anything I’m missing at blog@geocurator.org. NatSCA has extended the abstract deadline for their annual conference Dead Interesting: Secrets of Collections Success until 31st January. The conference and AGM will take place at the National Museum of Ireland in Dublin, from the 1st to the 3rd May. The conference strap line- ‘to unlock the secrets of collections success by sharing how our members and colleagues in the wider sector have used collections to benefit their organisations, communities and the wider world’. The abstract deadline for the History of Geology Group’s two day conference Celebrating the Centenary of Geological Society Female Fellows, is also 31st January. Due to take place on the 21st and 22nd May at Burlington House, in London, this conference will explore and celebrate the historical contribution of women in geology. Often overlooked and deliberately shunned throughout history by the scientific world, it’s about time we learnt the true history of our discipline. The Society for the Preservation of Natural History Collections (SPNHC) is holding their annual conference at the Field Museum in Chicago, from the 25th to the 31st May. The theme will be Making the Case for Natural History. This impressive building was used as the museum in which the absolutely fantastic monster movie The Relic was based. That famous ankylosaur, the destroyer of shins, is featuring in its own exhibition- Zuul: Life of an Armoured Dinosaur. The exhibition is open now, at the Royal Ontario Museum in Toronto, and is set to run until the 20th May 2019. Also open now, until the 24th March, is Jurassic Skies – When Dinosaurs Took to the Air– ‘An exhibition exploring how dinosaurs took to the air and the origin of birds. In collaboration with National Museum Wales’. The Natural History Museum’s famous Dippy the Diplodocus is currently being settled in at the Kelvingrove Art Gallery and Museum, in Glasgow. The exhibition is due to open on the 22nd January, and will run until the 5th May 2019. Dippy’s complete tour is due to last until 31st October 2020. Richard Butler, is the (relatively) newly appointed Professor of Palaeontology at the University of Birmingham. As such, he is delivering his inaugral lecture The Rise of Dinosaurs, which is open to the public, on 24th January, 5.30pm – 7pm, at the University. See the above link for a map. The Geological Society of Norfolk is hosting a talk by Professor Julian Andrews on the 7th February, called Rolling Over: Our Changing Coastline. Due to start at 7.30pm, the talk will take place at the University of East Anglia. On the 11th February, the Royal Institution is holding a lecture Rising Sea Level: The Crisis on our Doorstep, 7pm to 8.30pm at their home in London (doors open at 6.30pm). If the lecture isn’t enough to coax you to the event, it is also a book signing. The speaker, John Englander, will be signing copies of his book ‘High Tide on Main Street: Rising Sea Level and the Coming Coastal Crisis’ after the lecture. Also on the 11th February, the next talk in the Cambridge Geological Society lecture series (open to the public) is Close Encounters of the Third (Geological) Kind by Steve Thompson, which will look at the geology of Sao Tome and Principe, in the Gulf of Guinea. Doors open at 7pm, the lecture will begin at 7.30pm. The aforementioned doors can be found at The Friends Meeting House, 91- 93 Hartington Grove, Cambridge. On the 12th February, renowned mammoth expert Professor Adrian Lister is giving a lecture called Of Darwin and Dwarfs: Sea Levels, Ice Ages and Evolution, at Cardiff University. Doors open at 6pm, for a 6.30pm start. The Warwickshire Geological Conservation Group also runs a lecture series and the next (very exciting sounding) lecture coming up will be on the 20th February. The lecture ‘Swimming Plesiosaurs and Flying Dinosaurs; Palaeontology at Wollaton Hall, Nottingham’ will be given by Dr Adam Smith (he will also be talking a little about Chinese dinosaur discoveries). Due to take place at 7.30pm in St Francis Church Hall, 110 Warwick Road, Kenilworth, doors open from 7pm. Please check the venue before you travel as they can change. 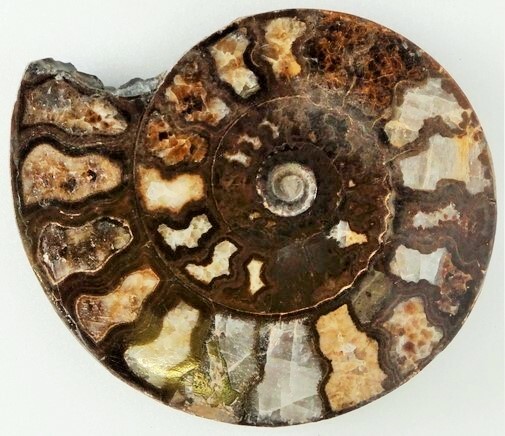 If family activities are more what you need right now (or rather- in a few weeks time), then also on the 20th February, the now pretty famous Lapworth Museum of Geology will be hosting the Jurassic Marine Monsters – Family Fun Day. Open between 10am and 5pm. The Essex Gem and Mineral Show, hosted by the Essex Rock and Mineral Society, will take place in Romford on Saturday 23rd February. To quote one ERMS member; ‘It is one of only a handful of ‘proper’ collectors’ fairs around Britain’, so clearly you won’t want to miss it. Back to Cambridge in March for the next lecture in the Cambridge Geological Society series (still open to the public… that hasn’t changed from five minutes ago). On the 11th March, Matthew Gleeson will be presenting The explosive history of the Galapagos Archipelago. The Royal Veterinary College in London is hosting a spectacular sounding event called Night at the Vet College: DawnDinos, for National Biomechanics Day. DawnDinos is a five year project ‘Testing the locomotor superiority hypothesis for early dinosaurs’. The event will take place on the 10th April from 5.30pm to 10pm and is free, but you need to book a place via EventBrite. The Lyme Regis Fossil Festival is set for 3rd to the 5th May (so if you’re going to NatSCA first, I can tell you there are flights from Dublin to Exeter, but due to their times, it is not necessarily the best option!) There will be exhibitions, performances, stalls, talks, and walks, and is an absolutely wonderful weekend. The University of Cambridge is looking to fill three Lecturer in Earth Sciences positions. THE DEADLINE IS 19TH JANUARY. National Museums Scotland is advertising for an Assistant Curator, Earth Systems. The deadline is 25th January 2019. Leeds Museums and Galleries are looking for an Assistant Registrar, the deadline 27th January 2019. Scarborough Museums Trust is after a Head of Collections and Curation. The deadline is 12pm on the 4th February. The Department of Earth Sciences at the University of Oxford is looking for a Professor of Geology. The deadline is 12pm on the 11th February. If you would like to contribute content to our monthly blog series News from the Sector (and get some free advertising! ), please get in touch with Dr Emma Nicholls, email blog@geocurator.org. News from the Sector is compiled by Dr Emma Nicholls, Deputy Keeper of Natural History at the Horniman Museum and Gardens.